事實上, 學生常搞不清公立大學, 大型私立大學, 小型私立大學跟文理學院的差別是什麼？哪一種大學最適合我? 我大學申請的目標到底是什麼？一趟資深顧問所領隊的名校之旅可以解答所有這些疑問. 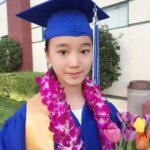 我是 Audrey, Whitney 高中的學生, 我進了賓州大學, 我很期待去上大學. HS2真的在各方面幫助我很多, 像是社區服務, 課外活動, 暑期活動, 工作及保持課業成績. 他們是全人教育, 就像大學審核一樣的全面化. HS2發揮你的潛能, 引導你進入你想去的大學. Before starting high school, I was very nervous about college. I was the typical average student in my school, and I felt like I couldn’t even get into schools like UC Irvine. Both of my English and math skills were terrible, as evidenced by the first SAT practice test I took where I got around a 1100. That score is what really woke me up. I realized that I was indeed very behind, and my desire for change led me to Hs2 Academy. After a few years of nonstop prep throughout summers at Hs2, where I would take a diagnostic test every week, eventually I was able to raise my SAT score to a 1560, high enough for my dream schools. Without Hs2 I do not know where I would be today. Honestly, the whole college application process is like a confusing maze meant to be stressful. Both of my parents are immigrants from China, so I basically had no one to guide me, no one to tell me what I needed to do in order to be competitive. I was completely lost. I had no idea I needed to do community service, take as many AP classes as possible, take up leadership positions in school, be involved in career-related extracurriculars, among countless other activities. My hs2 counselor introduced me to so many interesting volunteering and extracurricular opportunities that I could not easily find by myself. On the other hand, my high school counselors were not really helpful in offering me guidance. In fact, I didn’t even know CommonApp, the main platform students use for college applications, existed before my Hs2 counselor told me I needed to start working on my applications early. Even till this day I still remember the countless hours my Hs2 counselor and I spent on every single one of my college essays. My first drafts look like actual trash compared to the finished and more refined result I submitted in the end. My Hs2 counselor and all of the Hs2 editors were able to pick up grammar errors in my writing, identify places where my thoughts didn’t make any sense, and offer endless suggestions for improvement. They streamlined my thoughts and helped me present my best self to colleges. They condensed my superfluous writing into words that were actually meaningful and gave me inspiration when I was mentally stuck on what to write about. I applied to 25+ colleges, and I have well over 100 pages on the document where I wrote my essays. I would not have been able to apply to that many schools without Hs2’s help. Throughout my high school career, Hs2 pointed out a clear path for me on what I should be doing every step of the way, keeping me ahead of every deadline. I spent my summers productively attending various summer programs and volunteering for causes I felt passionate about. In the end, I was able to receive countless acceptances, including schools like UC Berkeley, UCLA, NYU, UVA, UNC, etc. Without Hs2, I would never have gotten into my dream school Duke University, which is where I will be attending thanks to the hard work and support from Hs2. I went from a mediocre student who basically had no chance at any of the top 30 schools to the stronger me today capable of reaching new limits. Many of my relatives and friends who have known me all along are still extremely surprised that I was able to get into a top 10 school. If you are still debating on whether or not Hs2 is right for you, I strongly advise you to join such a wonderful and supportive community that has changed the rest of my life forever. The college application process will only get more competitive, and Hs2 will always be there to help you reach your dream school. Scott Hu, 九年級時從北京傳統學校來美國讀高中, 今年成功進入加州大學洛杉磯分校 UCLA 及其他加大分校.